Surprisingly not what everybody may think about Mens Fashion people possibly will be stunned to know that there are men’s fashion industry and is also not limited. 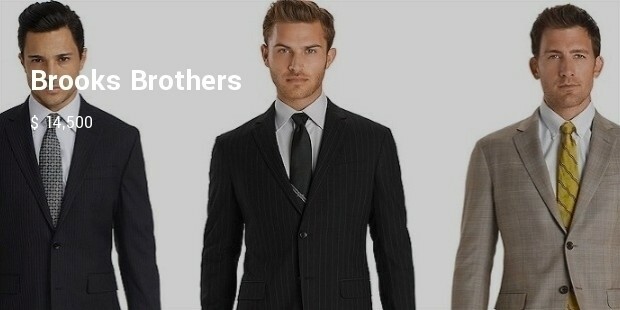 Men’s fashion world is also parallel to the women’s fashion accessories and various companies offering high quality clothing for men in which some of are considered as most lavish and elegant not only for the style and class but also with price tags which are much higher than normal clothing. 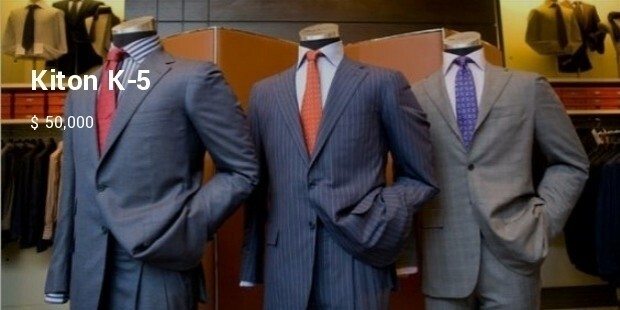 Men’s clothing brands are enough costly to surpass the female fashion world in some manner. 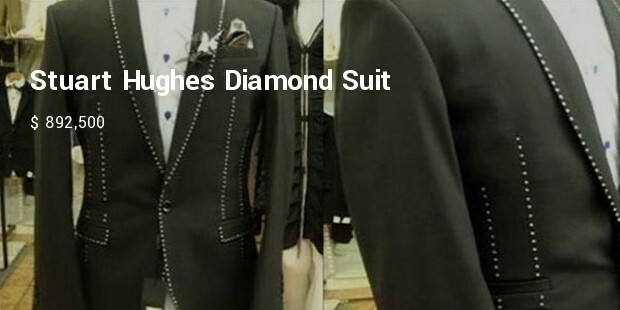 The world’s most expensive suit designed by Richard Jewels of Manchester & Stuart Hughes of Liverpool having a rich blend of Cashmere wool, silk and diamonds. 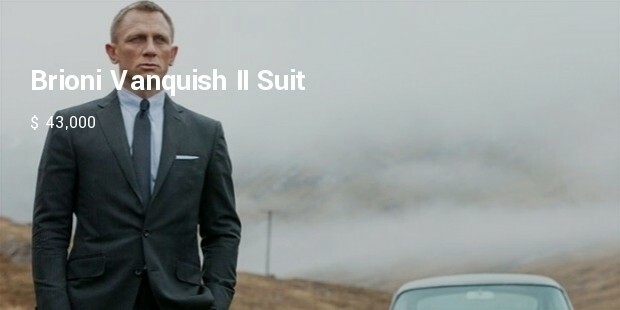 The suit has manufactured around 600 man hours containing 480 diamonds strategically positioned around the suit. 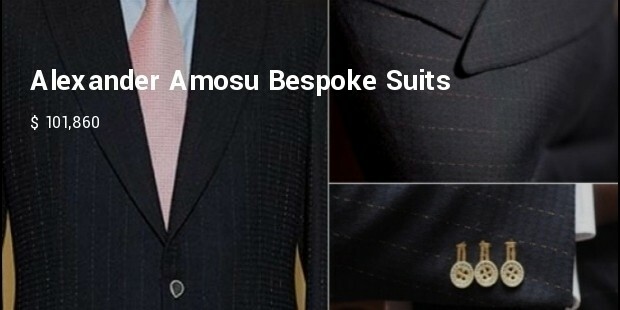 The bespoke suit has long been seen as the mark of a distinguished individual Alexender Amosu. The nature of its service is based on opulent fabrics and customized accessories that make it most sought-after and exclusive service in the world . 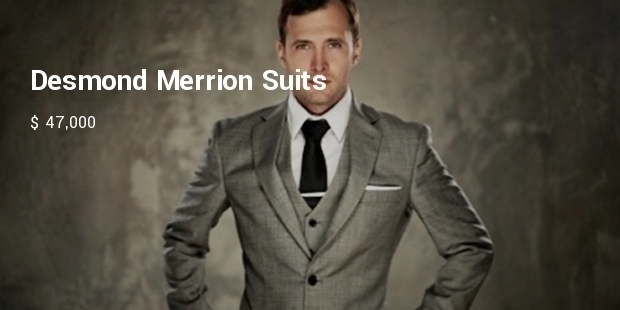 Its foundations are firmly on the expert craftsmanship and experience of tailoring . 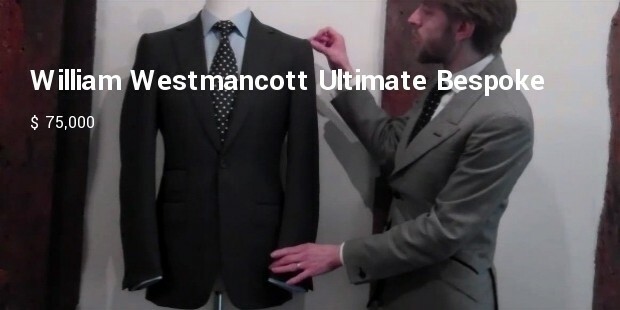 The Ultimate Bespoke suit is unquestionably the most luxurious and exquisitely crafted bespoke suit experience in the world which is entirely hand sewn without a single machine stitch. 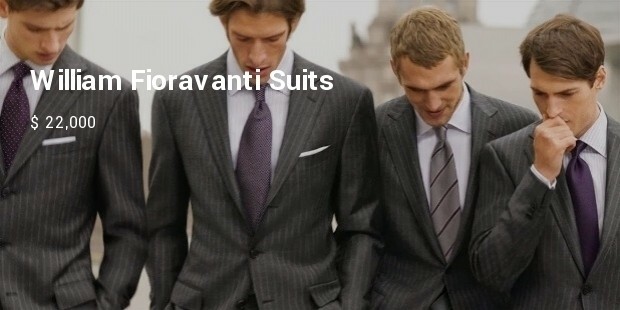 Crafted by our most highly skilled tailors it shows the perfection of hand craftsmanship. 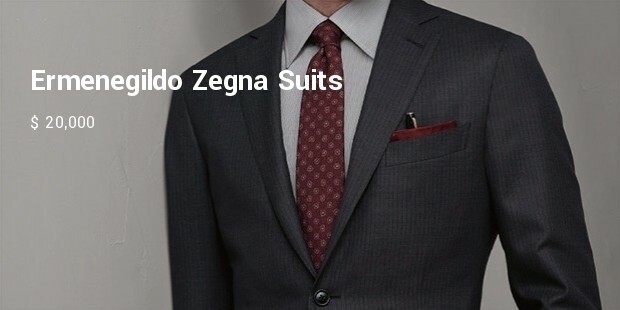 The luxury ready-to-wear and bespoke clothing company Kiton offers more than outstanding tailoring to its clients who ready to pay some extra cost for that suits making it one of most expensive menswear in the world . Why should Women have all the Fashion . 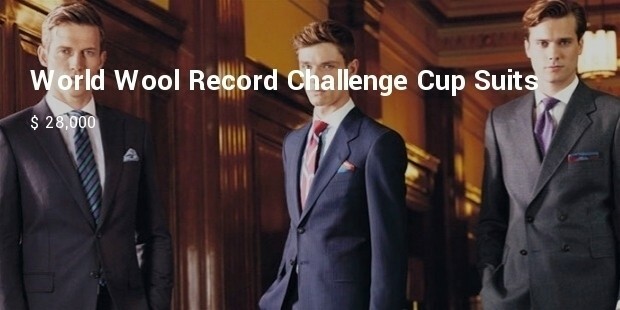 Why not Men have something to talk and show about for a change and here above are a few examples , the price and make / style are good enough to have tongues wagging , to own one of the most Luxurious and Comfortable Mens Clothing.